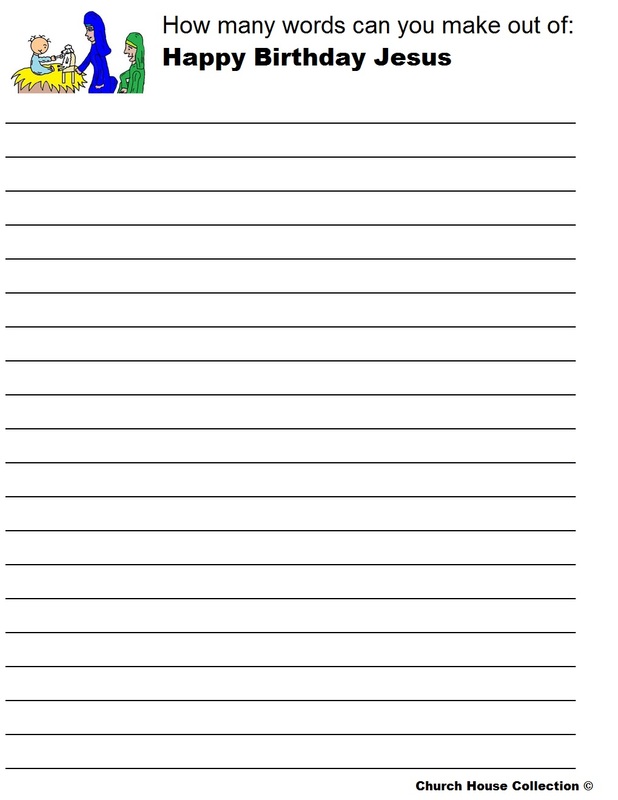 Print the template out. Color it and then cut it out. Wrap the square body of paper around the toilet paper roll tube and tape in the back. Add Joseph and tape him to the front. Add the manger right on top of him and tape that down. Add Mary slightly to the side and tape that down. Add Mary's arms that are holding baby Jesus. 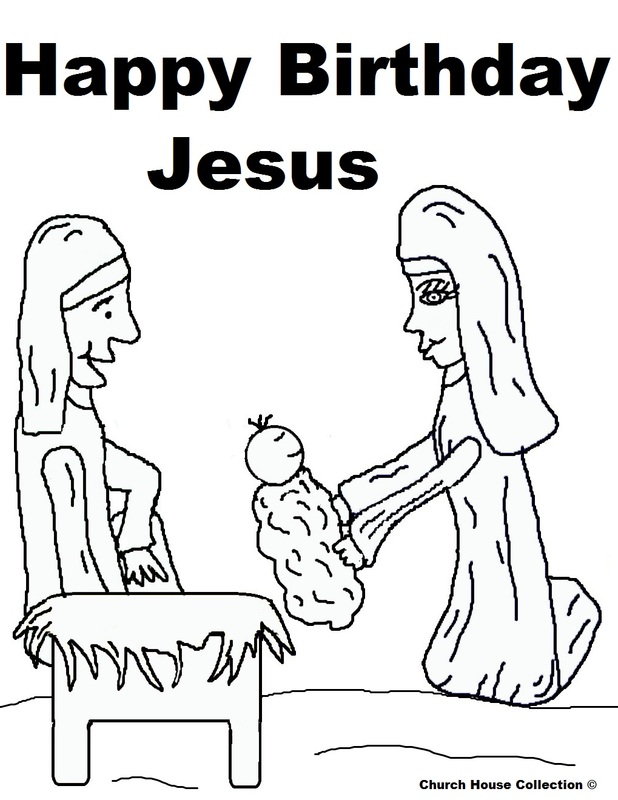 The words, "Happy Birthday Jesus" is written on crib. Turn this into a hanging ornament by punching hole in back and adding ribbon. 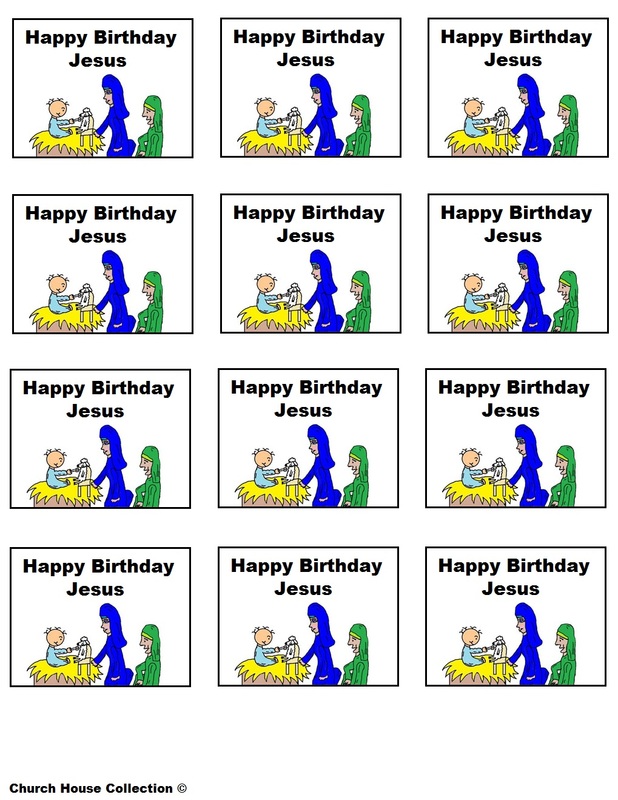 How about throwing a Happy Birthday Jesus Party? 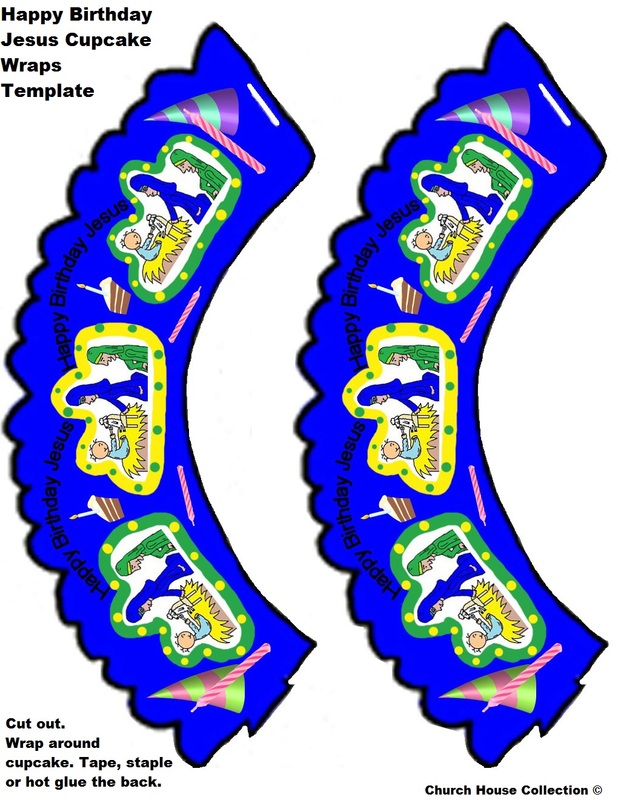 You could make some Happy Birthday Jesus cupcakes for your kids at Church and add our fun Happy Birthday Cupcake Wrappers to them. Just frost them white and then add blue sprinkles on some cupcakes and green sprinkles on the others. Stick our Happy Birthday Jesus Cupcake Topper down in it to really make them cute! Just print and cut them out and tape a small toothpick to the back. Stick down in cupcake. So easy! 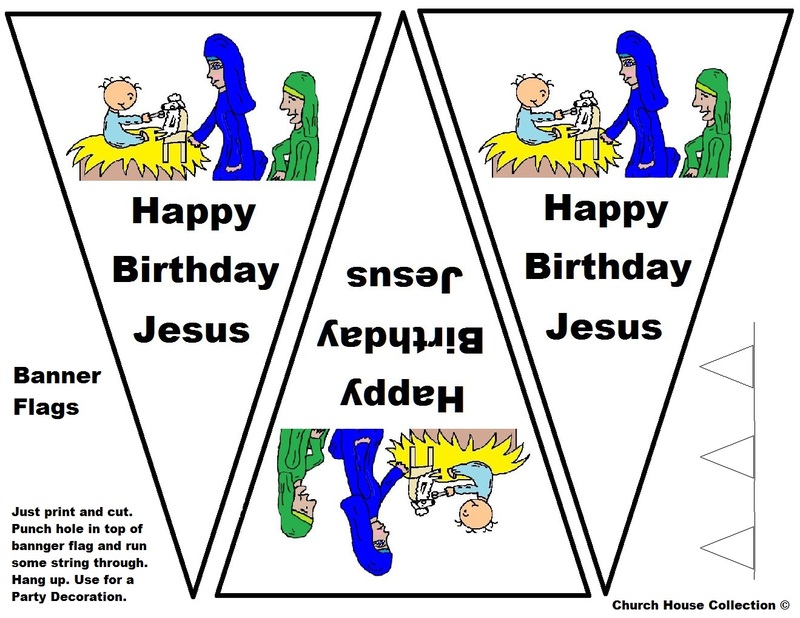 Blow up some green and blue balloons and hang them in between our Happy Birthday Jesus Flag Banners. Hang on ceiling or tape to edge of your table. 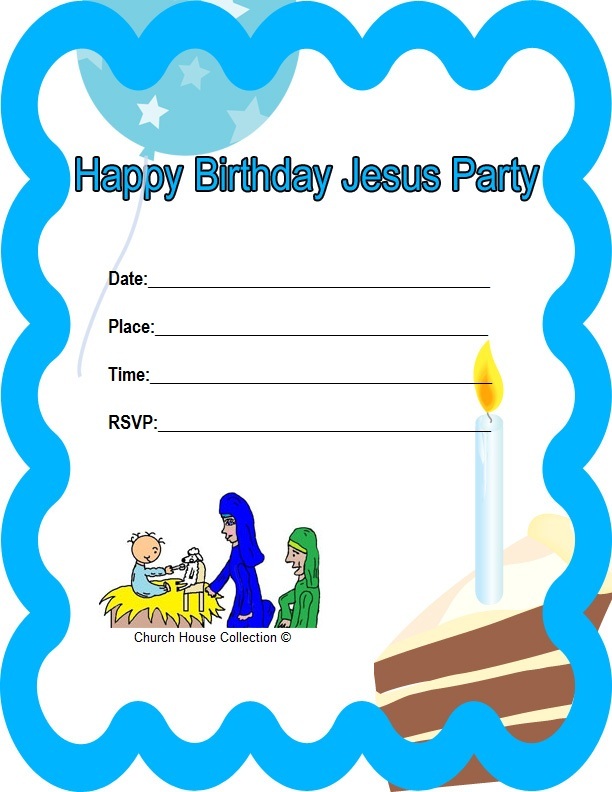 Want to give the kids a Happy Birthday party invitation? This will make the event exciting for the kids at Church if you hand these out. 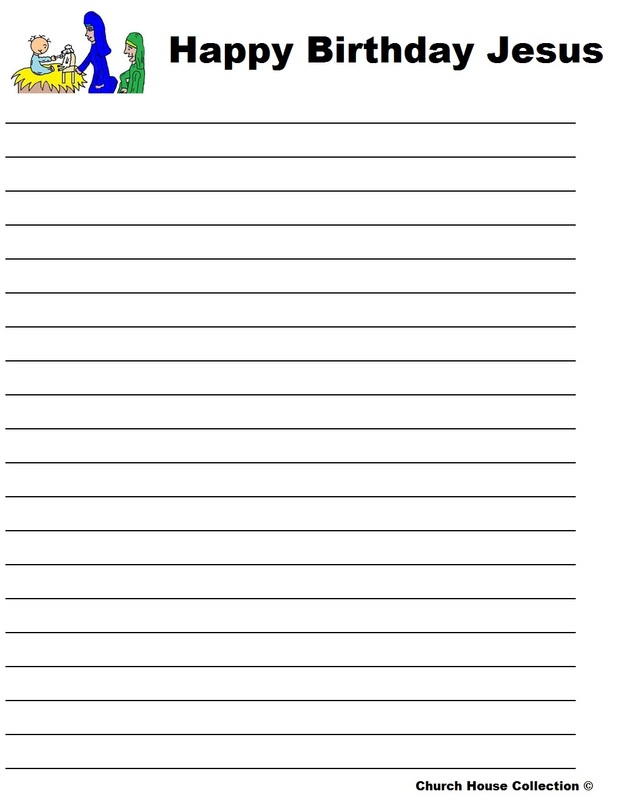 When I was young I can remember having so much fun with those little worksheets that you see how many words you can make out of another word. I would try so hard to make as many as I could. These were such a blast for me when I was growing up. 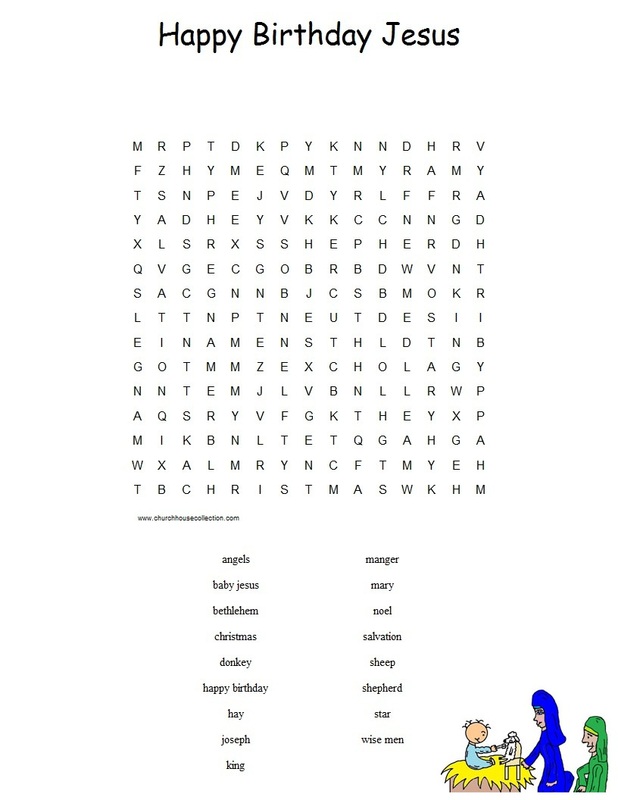 We have a Happy Birthday Jesus Word in a Word sheet for those kids who really get into that kind of thing. Sometimes it becomes a race to see who can get the most. You might even give a sucker out to the one who gets the most words. If you wanted you could do something fun for the kids by getting a brown or white paper lunch sack for each child and filling it with some treats and fold it over and staple it. Add a bow to each bag with a candy cane taped to the front. 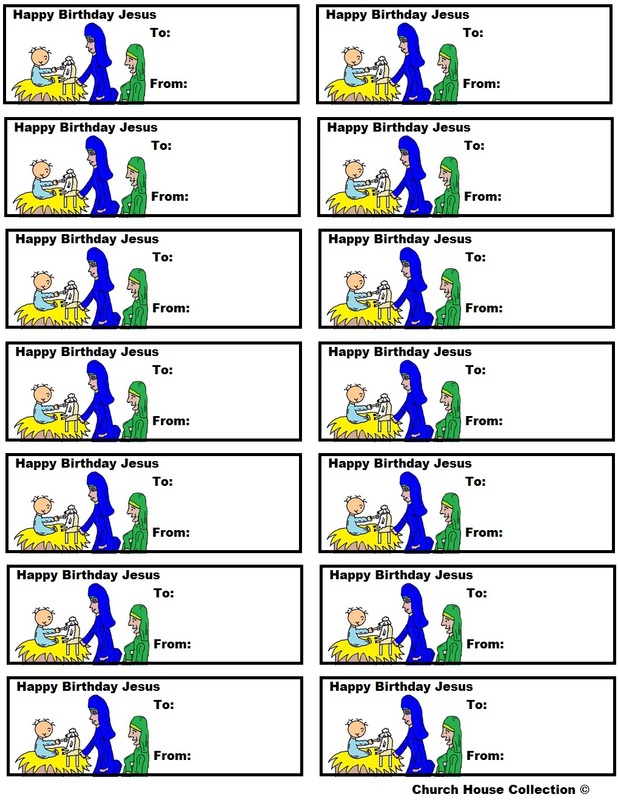 Tape these adorable Happy Birthday Jesus Gift Tags to the front and write the child's name on them. Maybe the kids like to color instead of making crafts. 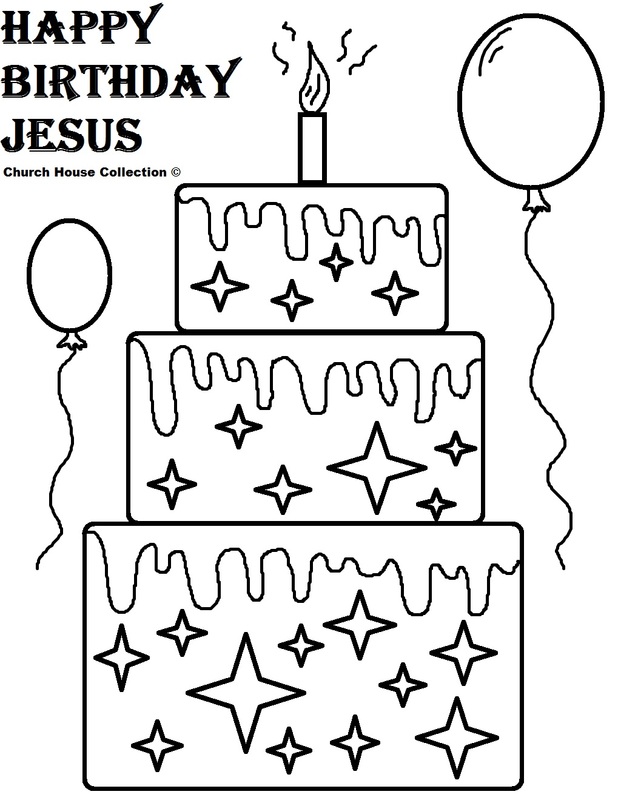 You could print them off a Happy Birthday Jesus Cake Coloring Page or a Happy Birthday Jesus Mary Joseph and Baby Jesus coloring page. Make their pictures shine by punching a hole in the top of their paper and running some red yarn through it and hang on the Christmas tree in Children's Church. 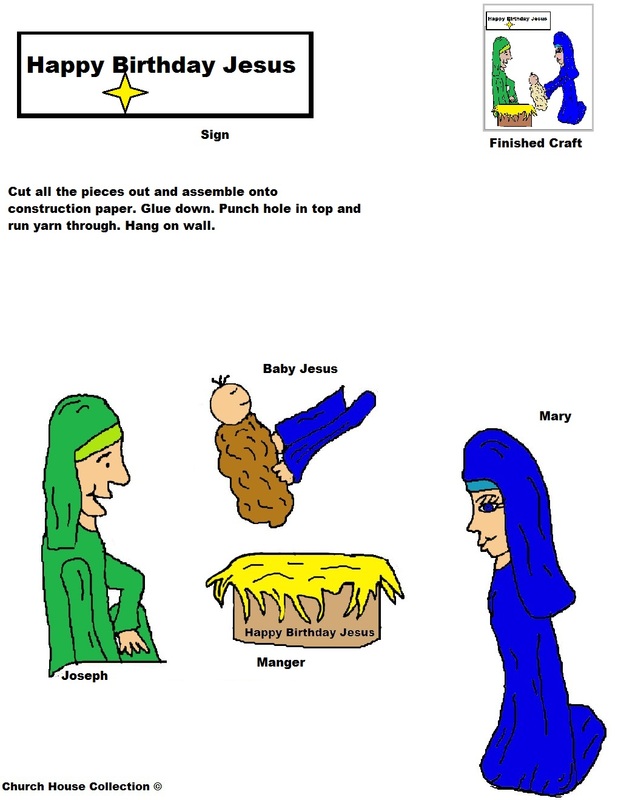 If your kids like to cut pictures out and assemble onto construction paper then let them try cutting our Happy Birthday Jesus Activity Sheet out. This has Mary, Joseph and Baby Jesus in the picture. Just add some glitter to make it really stand out.